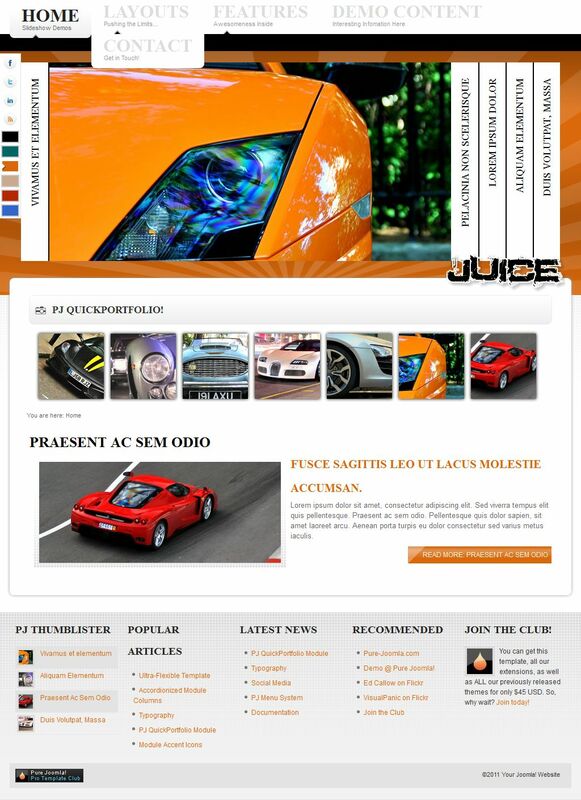 PJ Juice - great for car theme dynamic template, which presented studio PureJoomla. Basically enter into such stylish branded modules as PJ ThumbLister and PJ LiteAccordion, that pattern just give unrivaled views. Used it for social networks adapted intuitive menu. To control template in its appearance applied functional and flexible settings panel, as well as six preset color schemes in advance. Has a modular positions in original and abundance.